Parkes is a very proactive, business-oriented Council. Earlier this year their management identified that a ‘gap’ existed in many businesses in their local government area in terms of understanding how to embrace the digital economy and use digital marketing to its full benefit.Council management saw an opportunity to grow the capability of local enterprises and asked us and a marketing firm to help. The result was the Building Business Capacity workshop series, which kicked off last week with a workshop we delivered to 36 local businesspeople. convert online traffic into real sales. 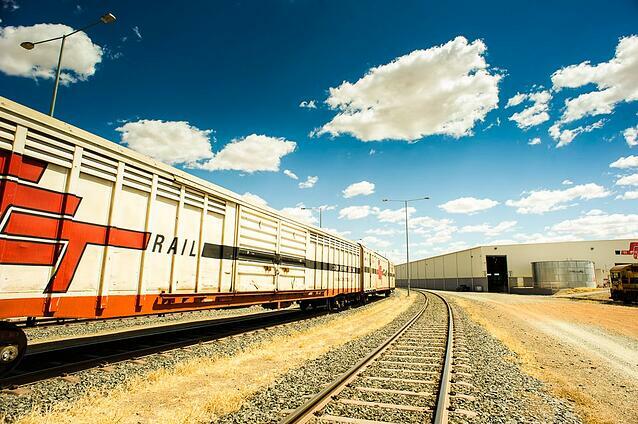 The project is funded by the Murray-Darling Basin Regional Economic Diversification Programme and is free to participants. Business valuation – it’s what we do! JPAbusiness is not an expert in digital and online marketing. Yes, we utilise digital marketing quite extensively and we share what we learn through our blogs, but our core business is advice, valuations and broking. Helping clients to identify and maximise their business value drivers is what we do best, so that’s exactly what we did in Workshop 1. Armed with that knowledge, the next workshop will see participants learn about the different digital marketing options available and which ones would best enhance their specific value drivers. 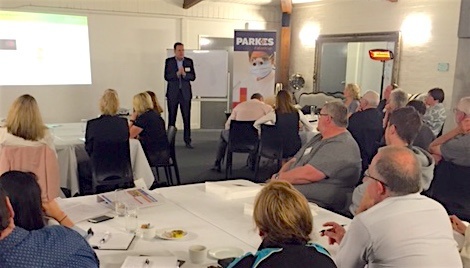 7/9/16 - James presents at the first Building Business Capacity workshop in Parkes, NSW. Eleven years ago, when we began our digital journey, I thought of ‘online’ as simply a website and this website existed independent of, and outside, our ‘real’ business. Obviously I have changed my mind! The digital economy is the economy. So much of business today operates with the expectation that you have a digital presence and – without one – you are hurting your earning capacity today, as well as your overall business value into the future. For example, at the Parkes workshop we met representatives from industrial services businesses who are involved in tendering. A large portion of tendering is now completed online via tendering network sites. If you’re not in that space, you miss out on jobs. If you are in the digital space you get a big tick from us – and other valuers – when it comes time to assess your business value. If you would like more information about JPAbusiness’ business advisory, valuation or broking services, contact the team on 02 6360 0360 for a no-obligation, confidential discussion.